Improper Course: Is It A Coincidence? The open sailors have left and on Sunday the masters have started to arrive. The first were Wolfgang Gerz (GER), Peter Seidenberg (USA), Greg Adams (AUS), Keith Wilkins (GBR), Kerry Waraker (AUS), and perhaps 2 others. If you include Brett and myself who were already here, this means that 7 of the first 9 to arrive were current or former world champions who have collectively won close to 40 world championships. Is it a coincidence that people who arrive early tend to do well? We now have 6 days to prepare for the Master Worlds. Oh, and the food now is even better. I'm so far from winning a cube that I have never even really thought about it. What do you have to do to win a cube? Is it for top 5 in your division at Masters Worlds? Or any Worlds for that matter? Or just for the actual champions? There's a formula for the number of cubes given based on the number of Lasers in a fleet, up to a maximum of 5 cubes. And in some countries, cubes are given for national and even state events. I've changed the wording to be clearer: close to 40 world championships. First you have to be an awesome sailor. Then, a few days practice before the regatta may just give you the edge over the other awesome sailors. There was an option in Oman to charter a boat for the 3 days before the official charters start on Thursday. It's these extra days of practice that have attracted so many great sailors. Listening to their comments are funny. We've just finished our second day and you can hear talk about how the waves are different than, say, Brisbane. 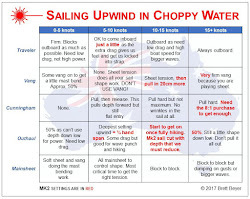 It's funny because to a lake sailor like me, they're all the same - hard to go around upwind and hard to catch downwind. It definitely feels like cramming for a big exam. 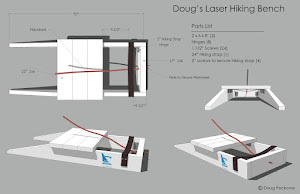 I used to think the same Doug, but having lived by the sea (and done a lot more Laser sailing on the sea) for the last six years, I am convinced that the waves are very different in different places, even just different places on the bays near my house. I suspect that tuning in to the local waves is almost as important as understanding the local winds to these top sailors. I feel like a guest at a fancy wine connoisseur club. Who arrived first? And what does that mean? Who cares. I hope Doug writes some posts about the food. He says the food is really good. It even got better after the open guys left. They have a German chef who is preparing Thanksgiving dinner for the US guys. Brett arrived 21 days ago to coach, so he'll have a good change of doing well. I arrived 10 days ago and hope to do well. A bunch of people arrived 3 days ago, and most will also do well. We need pictures of the food Pam. And reviews. And recipes. 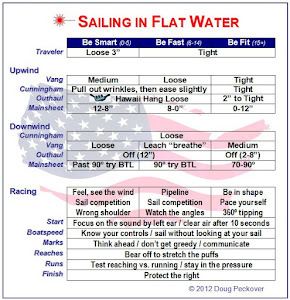 You don't think we come here just to read about sailing, do you? 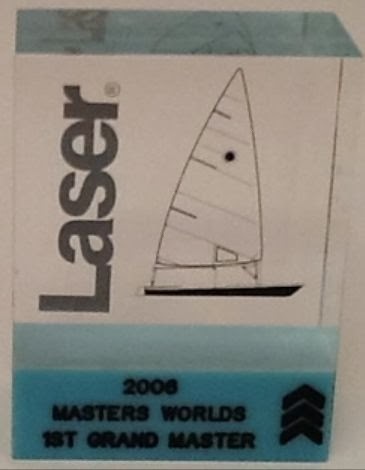 And I hadn't really registered before that going to the Masters Worlds in Oman might mean spending Thanksgiving there, or at least travellng there over the Thanksgiving weekend. I wonder if that's one reason that the attendance by US sailors seems so low this year? PS. Is Peter Seidenberg the German chef? Nope, not Peter. Doug is under orders today to get me pictures of everything ... Food, rooms, dining area, people, etc. All I've seen so far is really jumpy video. Not good enough. Oman Worlds - Who's Ready? Oman Open Worlds - Day 7 - Scheidt Wins!